My name is Brendan Gregory and I’d like to say a massive hello to all my fellow investors in the Marketlend community, and to peer to peer lending Australia. In the grand scheme of things I am a relatively small investor. Over recent years I have watched bank deposit rates fall significantly and in late 2014 I started looking for new and much more modern ways to invest. 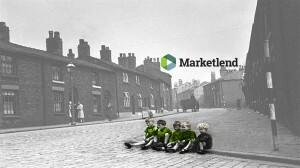 After researching Marketlend and the Leadership team thoroughly, I decided to get involved. I have now participated in four loans to date and I am very happy with the current rate of returns on each loan. I invest with Marketlend because I love having direct control of where my money gets invested and I take great satisfaction in empowering Australian business owners to realise their dreams. I find the online platform is an easy and convenient way to participate and the access to borrowers documentation to be a very transparent way for me to understand each loan. Above all else I invest in Marketlend because I genuinely believe in their people. Leo has been involved in the finance industry for many years and his extensive legal background gives me confidence. I also really value that Marketlend themselves invest in every loan and stand next to investors as a partner. Its great to be part of a like minded community with you…. I don’t think it really matters if you are investing $100 or $10000 dollars…. Its all about being part of something bigger and peer to peer lending gives us all that opportunity.